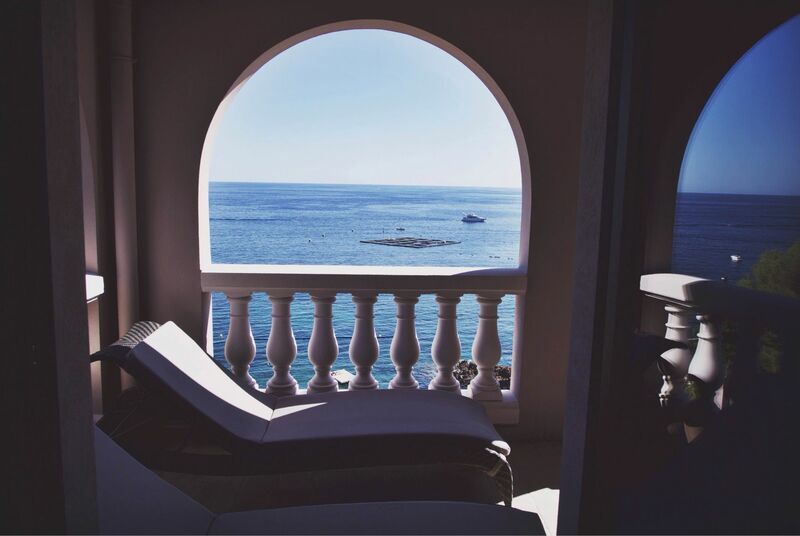 The bedrooms balconies with panoramic views across the cobalt blue of the Mediterranean Sea, gives an incredible picturesque view to the former fishing village that lies between the Var and the Alpes Maritimes. 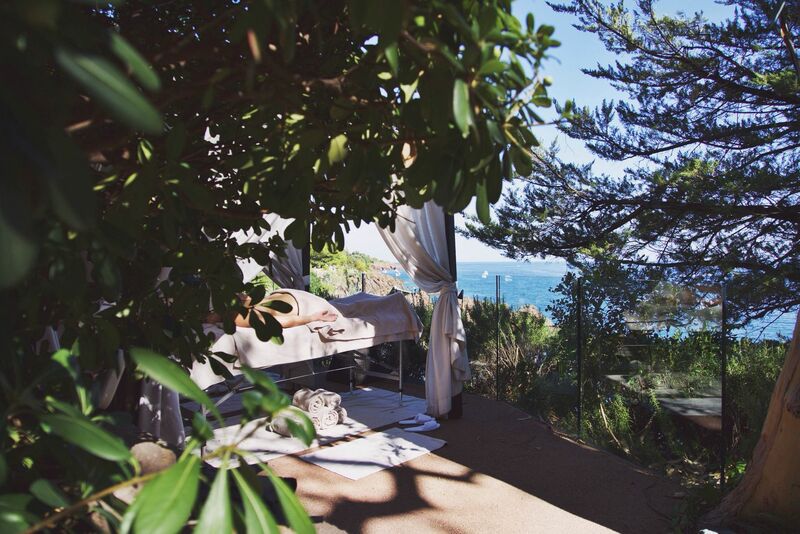 Tiara Miramar Beach Hotel & Spa that is situated in Théoule-sur-Mer, is one of the most discreet luxury resorts on the Côte d’Azur. 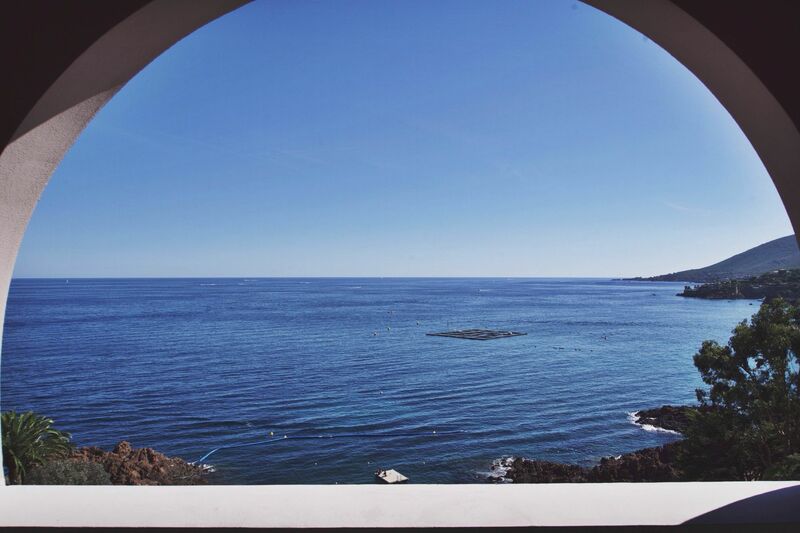 Nestled in a sheltered cove of the Esterel, this former fishing village is a paradise for lovers of authenticity owing its charm to an unspoilt setting with its subtle mimosa aroma. The day we arrived to Nice Airport, Tiara Miramar Beach Hotel & Spa organized a private transport to the hotel, and that was the first great impression. After approximately 30 min we arrived to the hotel, and again we had a tremendous good impression by the Tiara Miramar Beach Hotel & Spa team, who greet and delighted us a 5 star service. 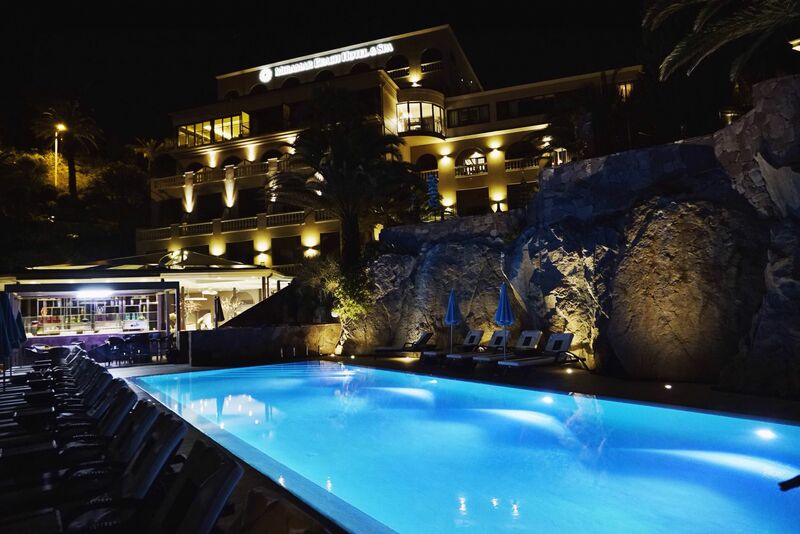 The ambiance, thoughtful touches and exceptional Côte d’Azur setting, Tiara Miramar Beach Hotel & Spa redefines a brilliant Riviera Lifestyle. 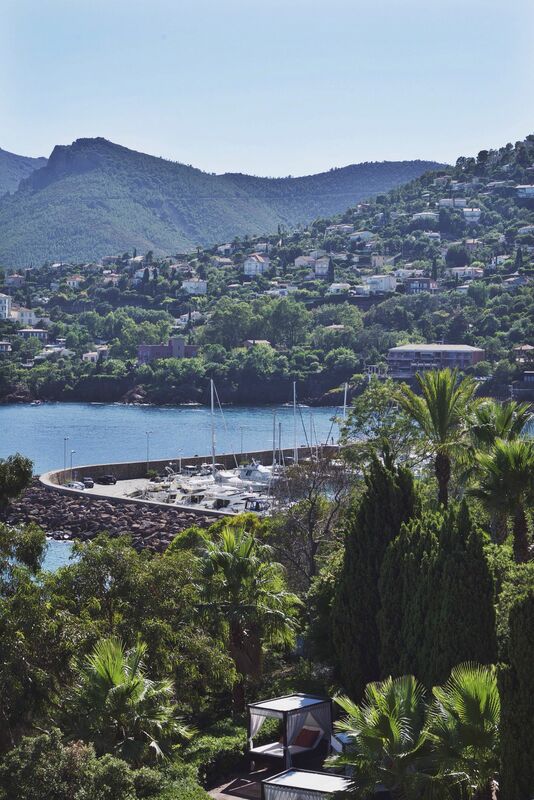 Somewhere between Cannes and Saint Tropez, an excellent starting point to explore beautiful Côte d’Azur coastline, you can drive along the Corniche d’Or follows the Esterel cliffs offering explorers stunning vistas. The adventuresome can enjoy spectacular walks overlooking the Mediterranean Sea. From the moment I’ve approach the entrance to the hotel, I knew – I was in a special place. The interior is inspired by the Orient, yet very chic and Mediterranean luxury. The Tiara Miramar Beach Hotel & Spa has 60 guest-rooms, from spacious suites, to his-and-hers bathroom sinks, great balcony view – where families and couples can have a luxury and comfortable accommodation. Soft double beds, beautiful Orient inspired lightning and impressive color combination. 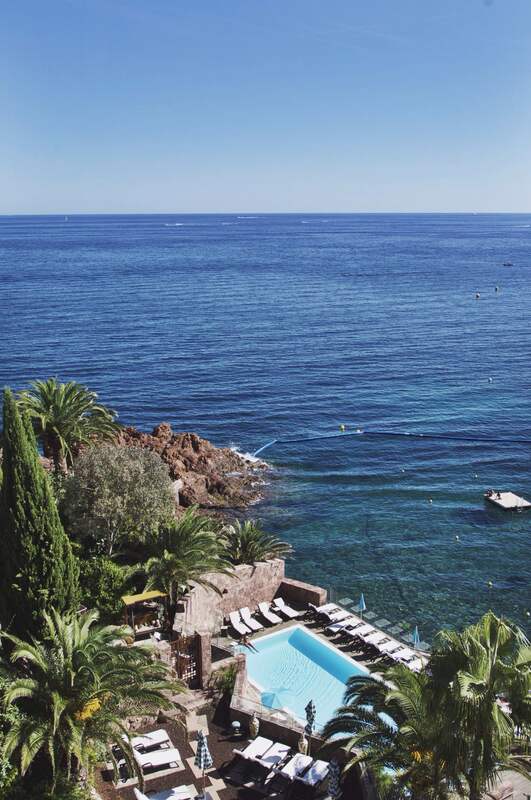 Rooms include: classic guest-rooms, which are cosy and comfortable, and open into the coral hues of the rocky Esterel. 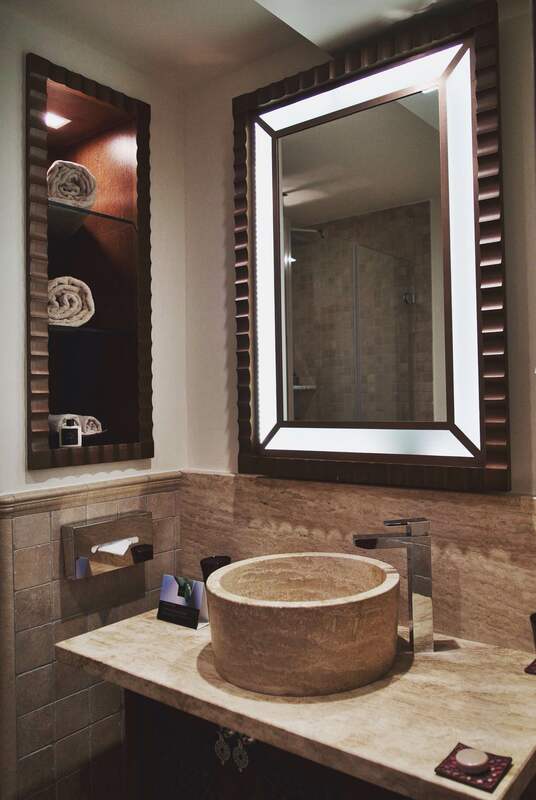 Superior guest-room has refined decor yet comfortable ambiance, that offers a garden view from a private terrace. Also deluxe, prestige rooms, luxury, miramar, than garden view suites, as well as sea view suites offer gracious interior decor and subtle oriental flair are coupled with a large lounge area – an environment that is at once both chic and relaxed. Not forgetting to mention: opening the balcony doors was an unforgettable moment! The exquisite mix of southern French cuisine blended with offerings of Spanish tapas and Oriental-style mezzé, creates a most memorable dining experience. 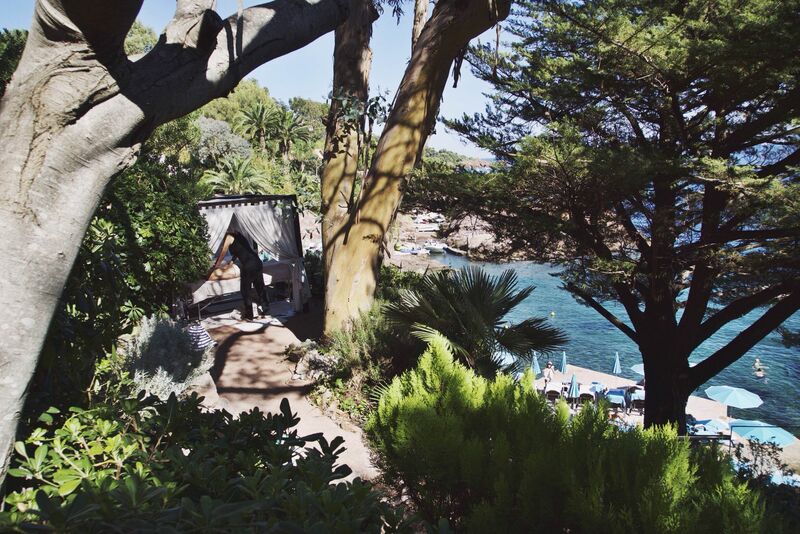 The MoYa is the hotel’s beachside restaurant, boasting incredible views over the Côte d’Azur that make every meal all the more special. Its strategic position by the creek makes this beachside restaurant the rallying point of the Tiara Miramar Beach Hotel & Spa. The hotel’s stuff where always careful and reserved our favorite table for breakfast and dinner, where we could enjoyed the shade of its pergola or its turquoise-colored umbrellas. From seafood, to barbecue, club sandwiches to desserts – everythings was absolutely delicious. The MoYa captures the spirit of the New Riviera Lifestyle, convivial, fun, local flavors shared with friends and family in the perfect, relaxed setting. Tirama Miramar Beach Hotel & Spa has also signature “bistronomique” restaurant (think “bistrot” and “gastronomic”) called Bistrot M. Locally sourced, chef-selected freshest of products are prepared with Provençal flair. Next to the MoYa restaurant, the Tiara Miramar Beach Hotel & Spa’s Beach Bar is the ideal place to enjoy a refreshing and delicious drink or cocktail after a day at the beach or a dip in the pool. An endless horizon of blue sky and cobalt blue sea, with gentle sounds of waves is the biggest pleasure for hotel guests to spend the day at private beach of the Tiara Miramar Beach Hotel & Spa. Serenity and relaxing environment, assures whether choosing sunbathing on the beach or quite simply a lazy daydream, or just a dip in the sea, no-one will disturb you. 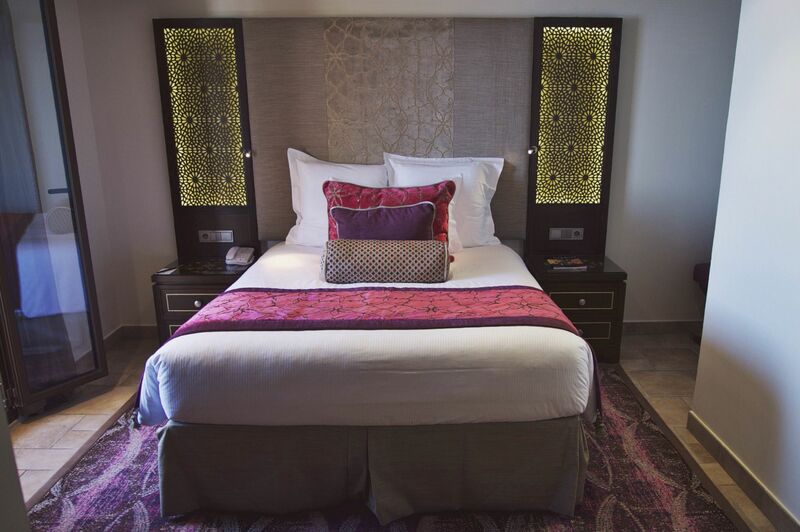 Inside our classic bedroom: A unique blend of oriental flair and contemporary decor in five star comfort. 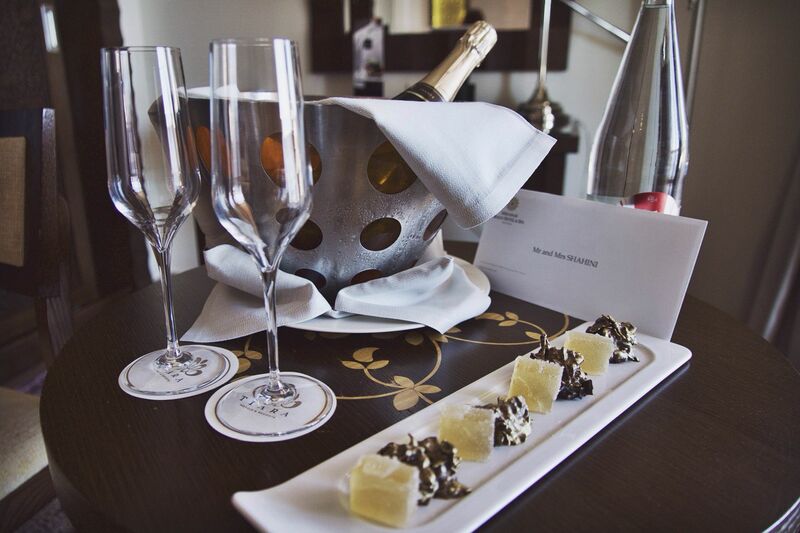 The welcome champagne and sweet bites from the Tiara Miramar Beach Hotel & Spa. 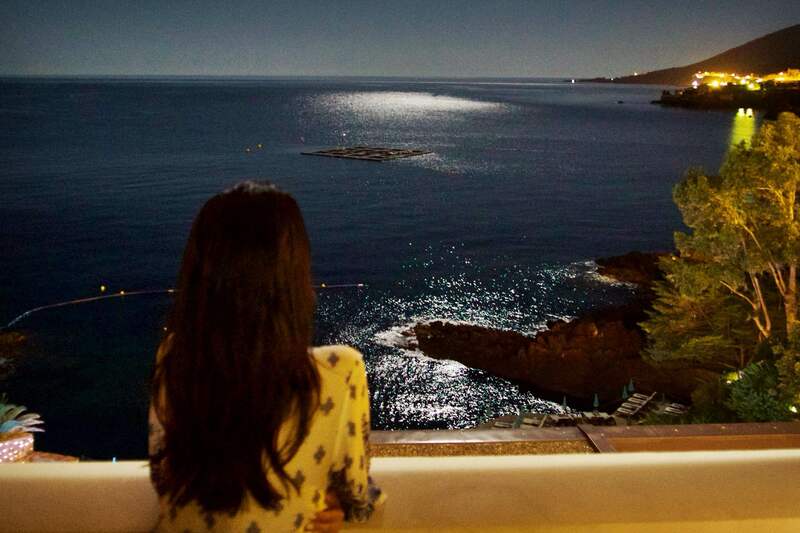 A beautiful view from the balcony on the right side. 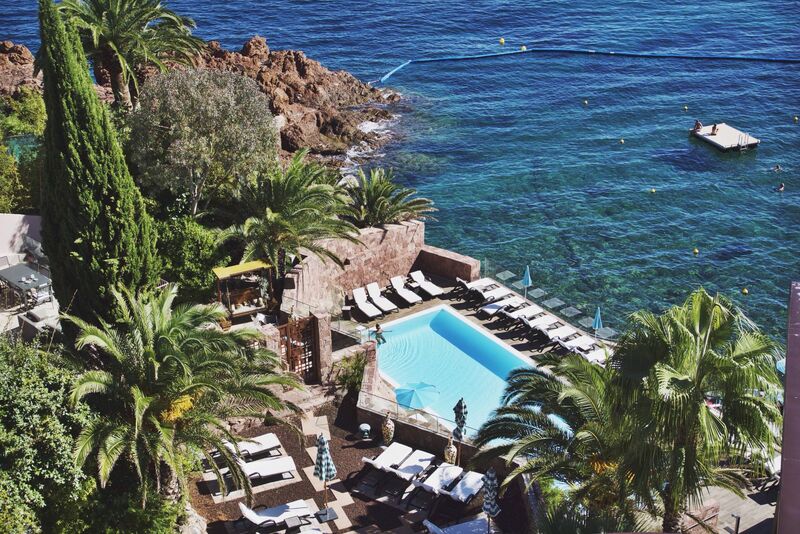 The breathtaking view to the pool and crystal blue sea. The wellness centre of the Tiara Miramar Beach Hotel & Spa encompasses 2 floors and in a luxurious setting, dominated by natural minerals and soothing fragrances, the Sothys brand spa products pleases everyone’s senses. After a welcome from the spa’s reception staff, I was escorted to outdoor relaxation area, as you can see on the photo above and below. My spa appointment, offered a tailor-made treatments and I choose a full-body oil massage. The masseur made a perfect finger pressure techniques and body modelling for a complete restorative and beauty package treatment. The fitness center has prefect equipments, associated with multimedia selections and sea & garden views. It has plurima multistation (body-building & cardio-training), Treadmill, exercise bike, cross trainer, etc. Some images while I was having the full-body massage in a breathtaking and peaceful atmosphere. 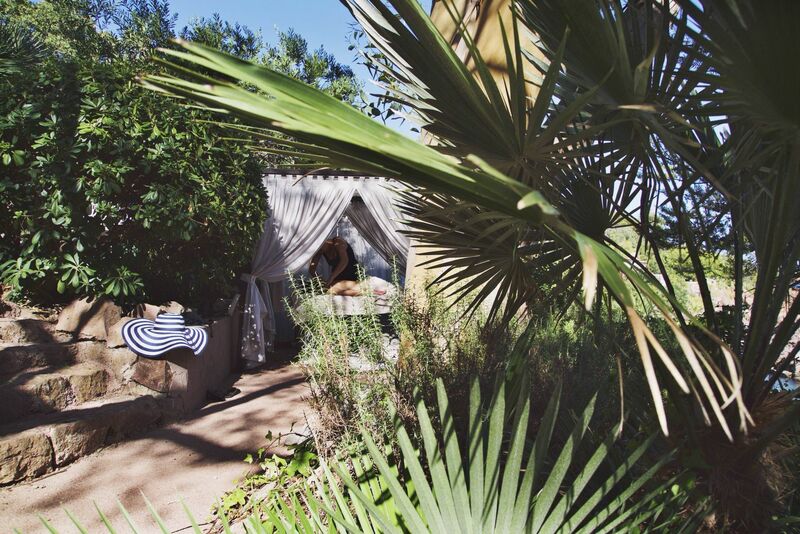 This is how I like to have my spa treatment: outside under the palm trees, sea breeze, salty air and sunny flair. The best after spa treatment swim in crystal clear sea. The Tiara Miramar Beach Hotel & Spa has 11 Balinese-style daybeds to enjoy your day with a wonderful view. 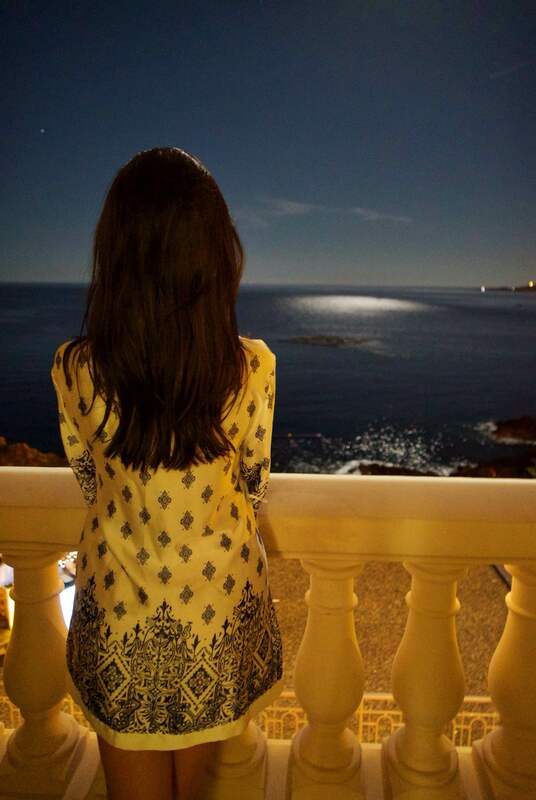 Our stunning view from the balcony watching full moon, was one of the highlights we enjoyed almost every night. Staying active and wearing my favorite sportswear by New Yorker and Tom Ford sunglasses. 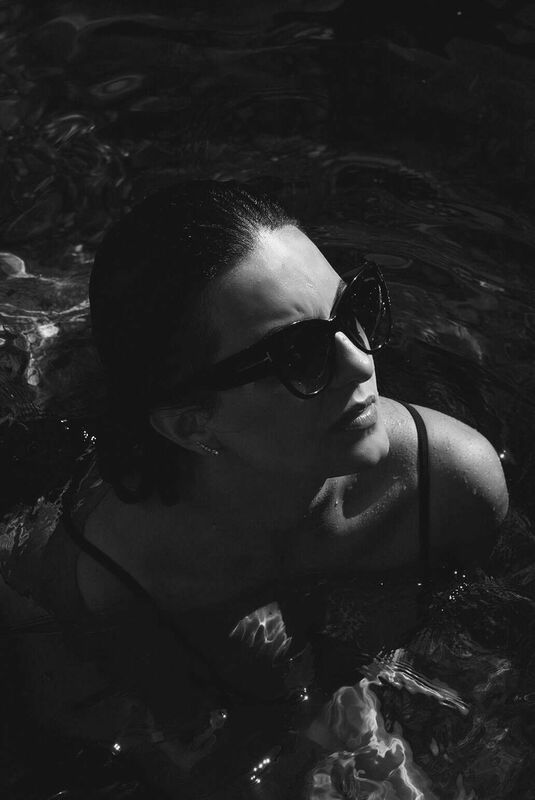 Wearing Tom Ford sunglasses and new Triangl bikini. 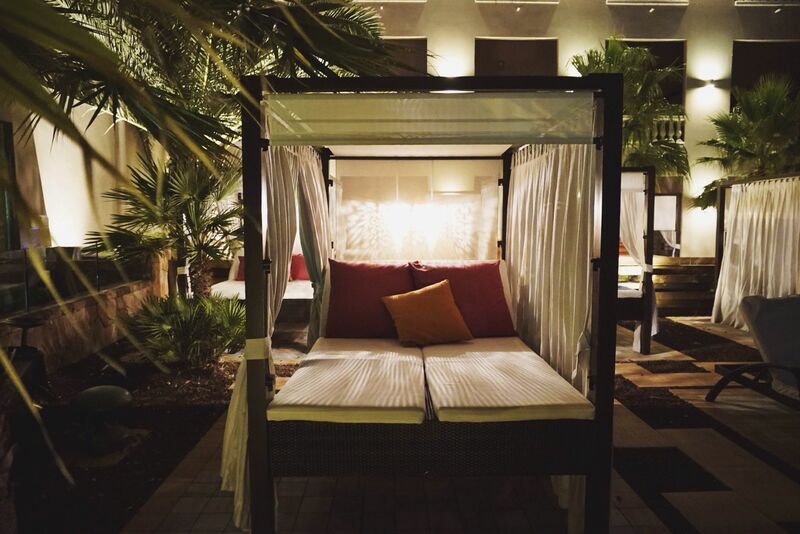 Everything was absolutely stunning at the Tiara Miramar Beach Hotel & Spa! Beautiful pool terrace, palm and exotic garden, sun-drenched terraces with a wonderful view, where you can have a remarkable level of privacy. The rooms are beautiful and clean, spacious and updated, but the true highlight was the amazing service. The restaurant‘s food was absolutely mind-blowing. The level of service is personal – very friendly but not intrusive. Every single staff member we met exuded warmth and sincerity. Highly recommended it and I wish to visit Tiara Miramar Beach Hotel & Spa again.